If you fall behind on your credit card payments, you'll probably receive phone calls or letters from the collections department of the credit grantor. Once the account becomes seriously delinquent, your credit grantor may decide to close your account so you can't make any new charges. Eventually, the credit card company might "charge off" the account, which means the company writes off the debt as a loss. After an account is charged off, you'll still be subject to collection actions. Following a charge off account your card issuer might decide to sell your debt to an outside collection agency. Typically, debt collection agencies buy charged-off debts for less than their full value but they can still try to collect on the total amount owed. Under the Fair Debt Collection Practices Act, debt collection agencies are not allowed to harass you, threaten you, lie to you or otherwise coerce you to pay an outstanding debt. They can, however, contact you by telephone or mail regarding a delinquent account unless you specifically ask them not to. If a debt collection agency buys your charged-off credit card account, it may choose to file a lawsuit against you to get you to pay. If a collection agency or creditor wins a judgment against you, you could be subject to wage garnishment, bank account seizure or property liens if you don't make arrangements to pay the debt. Each state puts a different time limit on how long a creditor or collection agency has to sue. Once the time period allowed under the statute of limitations has passed, you can no longer be sued but you technically still owe the debt. Your original creditor will most likely report the charge-off to the three major credit reporting bureaus. The bureaus may also include a notation that the account was closed by the grantor. When a charge-off is sold to a collection agency, the debt collector may assign a new account number and report the account status each month. If you're not making payments, the collection agency can report the account as delinquent. Under the Fair Credit Reporting Act, late or missed payments and charge-offs can remain on your credit report for seven years from the initial date of delinquency. How Long Can I Keep My Credit Card Over the Limit Before a Charge Off? Having one or more charged-off accounts on your credit report can cause your credit score to drop significantly. A low score could make it harder to get approved for new credit. And you may be wondering, "Will paying charge offs increase credit score?" The truth is, paying off an old debt might not necessarily raise your score. If you're facing a lawsuit over a charged-off debt, filing bankruptcy can put a halt to any legal proceedings. Chapter 7 bankruptcy allows you to eliminate certain debts entirely while Chapter 13 gives you more time to pay what you owe. 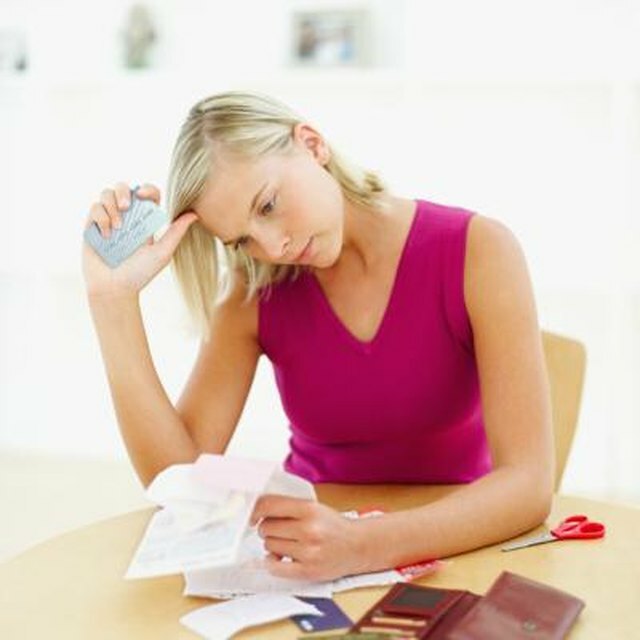 Filing bankruptcy does, however, cause serious damage to your credit. Bankrate.com: Debt Charged Off: Do I Still Have to Pay?